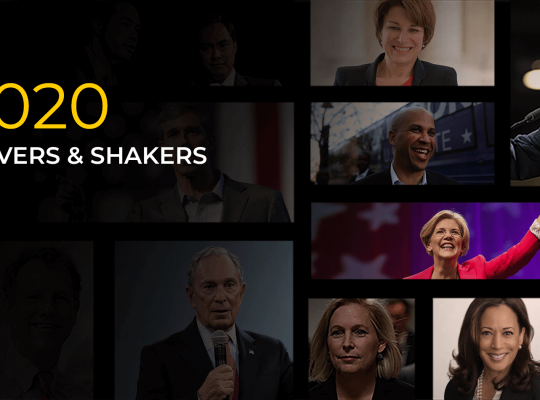 As more and more Q1 fundraising numbers come in, the 2020 Democratic primary is beginning to take shape. Joe Biden is still expected to get in the race later this month, but for the time being, Bernie Sanders is the front-runner, whether some Democrats like it or not. Meanwhile, things have gone from bad to worse for Elizabeth Warren, who could be facing money woes and who finished third in a poll of Massachusetts Democrats – i.e., her home state. Some Democrats are using their platforms as senators to get a leg up on the competition: Cory Booker is introducing a reparations bill, while Kamala Harris is introducing legislation that would allow so-called Dreamers the ability to work in Congress as interns and staffers. At least eight women have come forward to accuse Biden of inappropriate touching in the past 10 days or so. Recognizing that he needed to address the issue, Biden’s team posted a video of the former VP speaking directly to camera and promising that he would be more mindful of how he behaves. But on Friday, during a speech to the IBEW, Biden made light of the incidents more than once. “I had permission to hug Lonnie,” he said from the podium after embracing IBEW President Lonnie Stephenson on stage. In yet another sign that Biden is preparing to announce his intentions to run for president later this month, Biden and his wife, Dr. Jill Biden, are beginning to get more active on Instagram. Is Sanders the front-runner? With Biden not officially in the race and Sanders routinely alone in second place behind him in most polls, some are beginning to say he is. Add to that the fact that Sanders pulled in $18 million in the first quarter, and it’s hard to argue that Sanders isn’t the front-runner – a status he never had when he ran in 2016. Reporters are routinely hounding Sanders to follow through on his promise to release his tax returns. When he ran in 2016, he only released a two-page summary of his 2014 return, whereas Hillary Clinton released 8 years of returns. He has claimed he’ll release a decade of past returns this go-around, but that has not yet materialized. Expect the returns to appear after Tax Day. 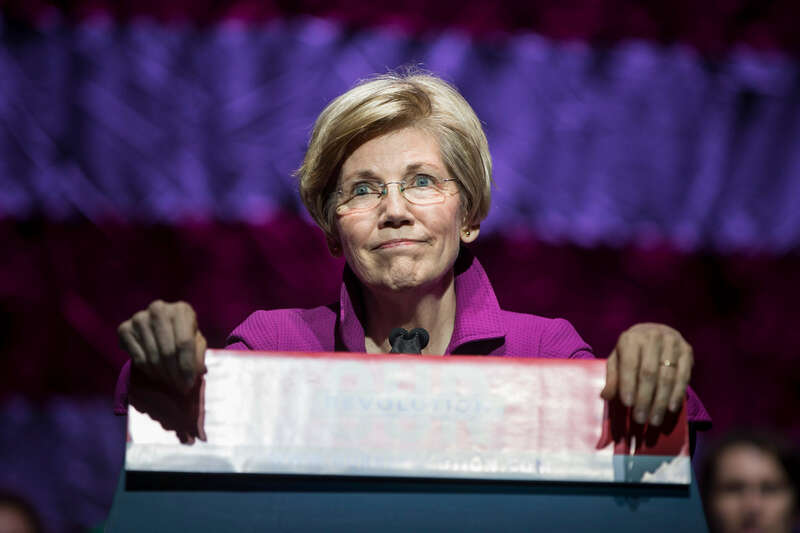 In yet another embarrassing blow to Warren, she placed a distant third (14 percent) in a recent presidential preference poll of Massachusetts Democrats’, behind Sanders (26 percent) and Biden (23 percent). In her home state, Warren was statistically tied with South Bend Mayor Pete Buttigieg (D-IN), who had 11 percent support. Still, one could make the argument that Warren is outworking the competition, even if it’s not producing much in the way of results. She’s campaigning in South Carolina, Colorado, and Utah this week, and the press routinely praises her policy proposals, which are numerous. It doesn’t appear, however, that voters seem to care much about that. For instance, she publicly announced on Friday that she supports eliminating the filibuster in the Senate. Still waiting on a reaction from Iowa farmers on that one. Something else we’re waiting on? Warren’s Q1 fundraising haul. Her decision to swear off big donors could be backfiring. 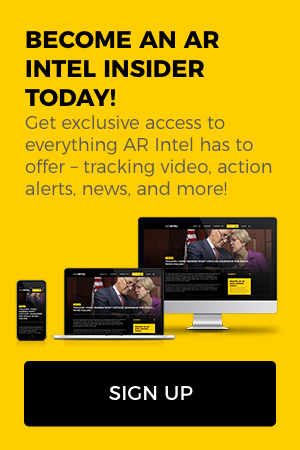 O’Rourke turned heads this week when he called Israeli Prime Minister Benjamin Netanyahu “a racist.” He said the U.S.-Israel relationship is among the most important in the world, but he said the relationship must transcend Netanyahu and Trump, two leaders he showed no hesitation in criticizing. And is ‘Betomania’ slowing down? The “euphoria” from O’Rourke’s announcement “has started to subside,” according to Politico. He posted a strong fundraising haul for Q1, but his wasn’t the best overall and he could find himself competing with Buttigieg, another young upstart candidate, for support. A recent event in Iowa City resulted in poor attendance and a half-filled ballroom. It’s too early to say he’s fading, but it’s an uphill climb from here. Booker announced Monday he will introduce “a proposal that would establish a commission to study possible reparations.” That puts Booker in the driver’s seat on an issue that numerous 2020 candidates – Warren and Harris, to name two – have weighed in on and appear to support. Booker had previously criticized 2020 Democrats for including reparations on a list of policies they support and not taking the issue more seriously. Booker’s campaign said it raised $5 million in the first quarter. Klobuchar announced Monday that she raised $5.2 million in the first quarter of 2019. That puts Klobuchar in 5th place of the 7 candidates who have announced their fundraising hauls. She has about $7 million on hand. Rep. Eric Swalwell (D-CA) announced on “The Late Show with Stephen Colbert” Monday night that he, too, is running for president. Former HUD Secretary Julian Castro pledged to release 10 years of tax returns. He also sent out a fundraising email on Monday focused on the resignation of Homeland Security Secretary Kirstjen Nielsen. Former Gov. John Hickenlooper (D-CO) is telling voters not to worry about his poor standing in the polls. His positive interactions with voters indicates “it’s just a matter of time” before he starts climbing, he says. The problem for Hickenlooper is that he’s climbing a 14er and starting at the bottom. Last week, Gov. Jay Inslee (D-WA) released his tax returns, which showed relatively stable income and taxes paid. Mother Jones asks: Can Inslee turn climate change into more than just a talking point?